Swampscott Public Library, Swampscott, Mass. 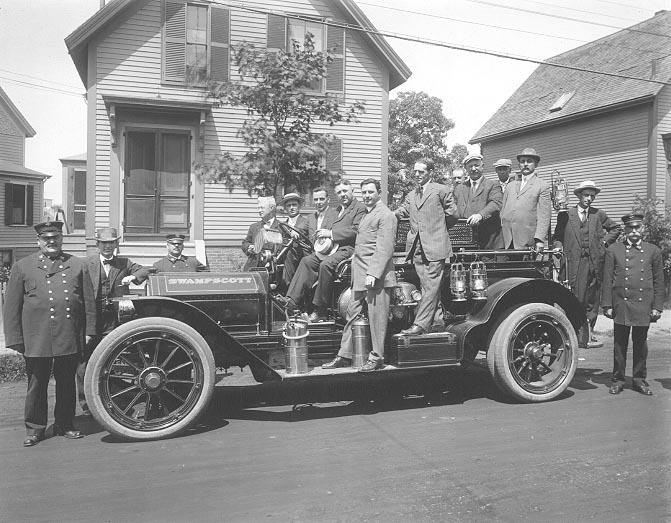 Members of the Swampscott Fire Department and town officials pose with the department's first fire truck. “Swampscott Fire Department, first fire truck,” Swampscott Public Library, Swampscott, Mass., accessed April 25, 2019, https://digitalheritage.noblenet.org/swampscott/items/show/155.